Here Comes The "Bugatti Veyron"... Fastest Car In The World! 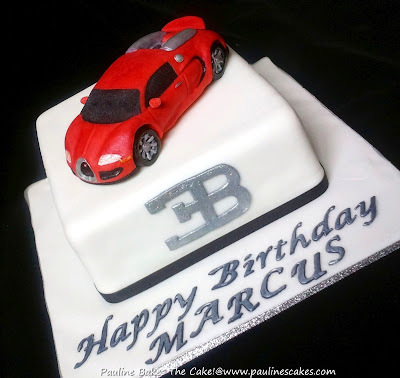 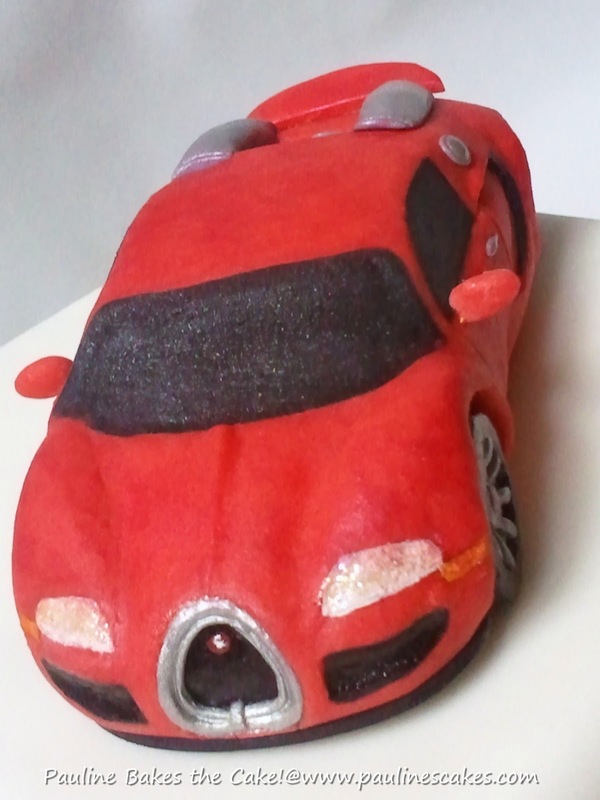 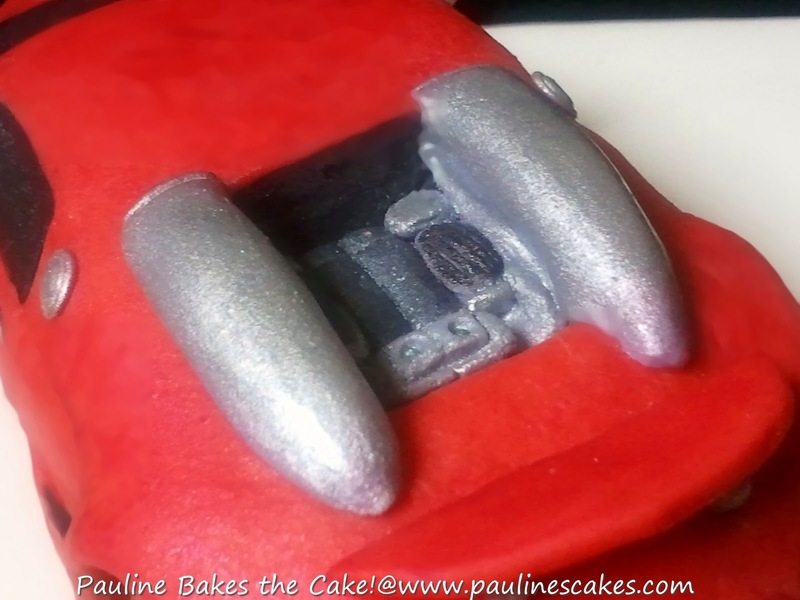 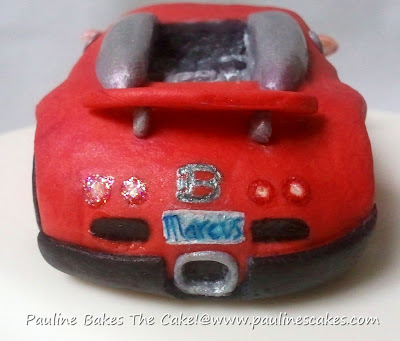 Commissioned by Chermayne who wanted to surprise her husband Marcus with a simple design birthday cake topped with a sugar art model of the sports car, Bugatti Veyron. Marcus loves high performance cars, and what better way to impress him than with the Bugatti Veyron, the fastest car in the world with a top speed of over 400 km/h! She provided me these pics of a fiery red Bugatti Veyron which threw me into a state of panic as I have never modeled a "non cartoon" sports car before. 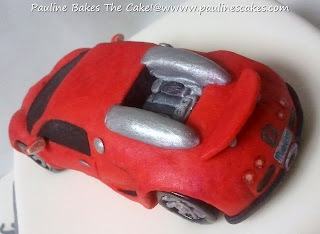 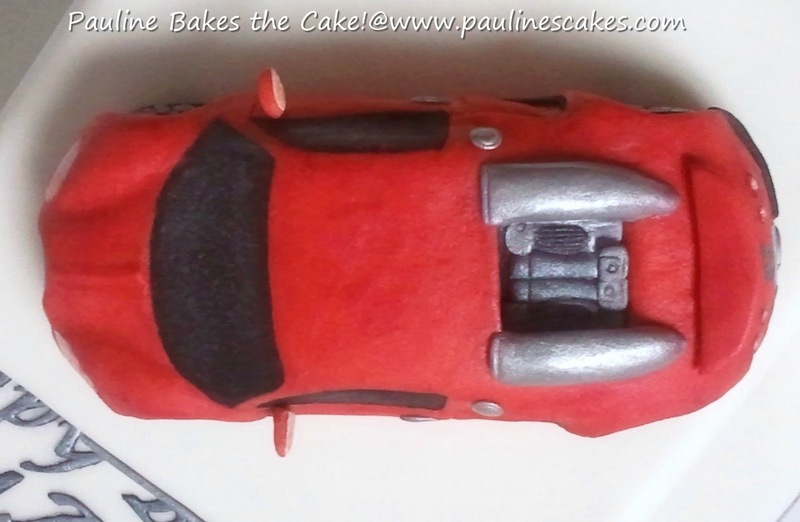 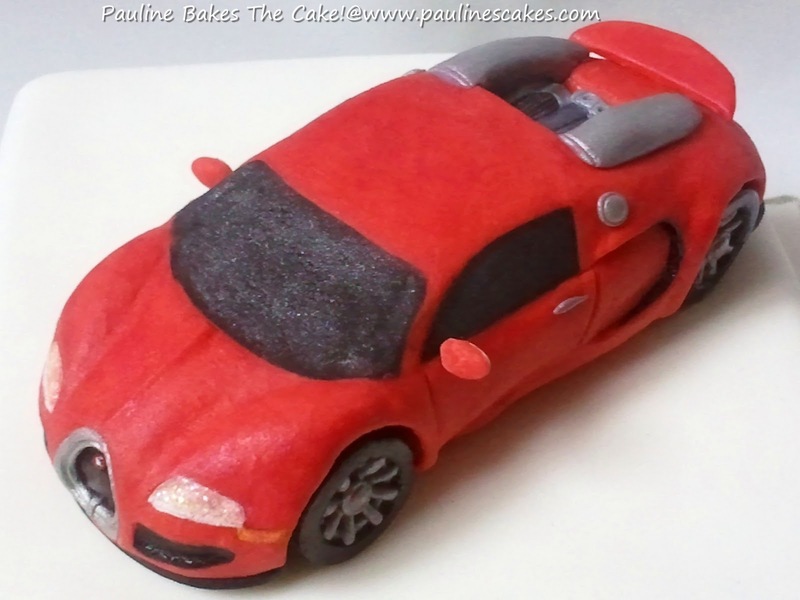 Here's my version of the Bugatti Veyron, crafted in sugar! 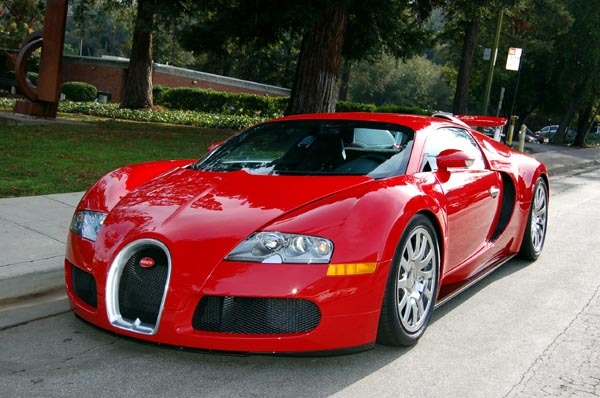 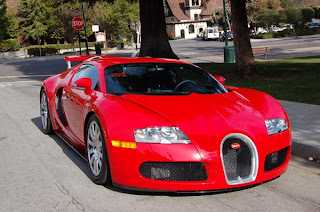 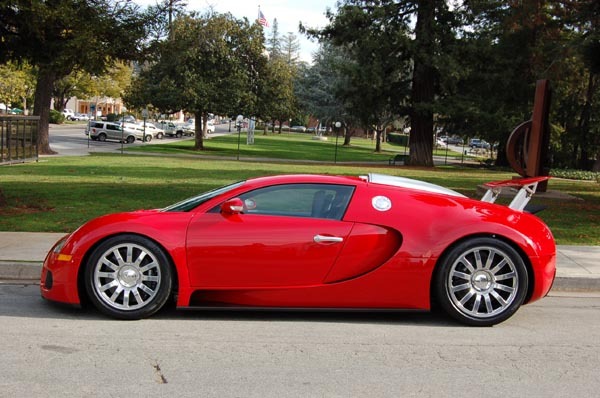 The Bugatti Veyron in fiery red! With adjustable side mirrors and hand painted details! Close up of the engine! 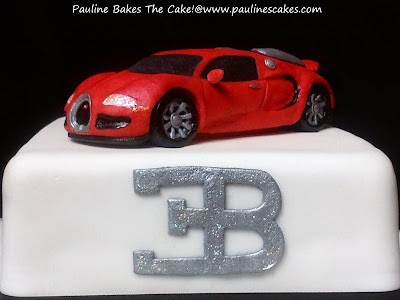 The Bugatti logo in glittering silver!